Power Tools Every Homeowner Should Have | 41 Lumber - Serving Iron Mountain and the U.P. Owning a home, means maintaining a home. In order to do so properly, there is a basic arsenal of power tools that each homeowner should have at their disposal. If space is an issue, a homeowner should choose tools that are multifaceted, making the most effective use of the workshop storage space. As money, room, and needs allow, the homeowner can easily purchase more tools at a later time for those more specialized jobs. There is still a lot of debate over which is the best choice: corded or cordless power tools. For most homeowners, quality cordless tools make the most sense. With the advancements in battery technology, a good quality cordless power tool will have ample battery power to last through most home projects. Plus, there are no cords to get in the way, fray or crack. They are also lightweight and less cumbersome to handle over an extended period of time. Often, cordless power tools come in kits, which offer savings and can encompass most of your power tool needs in one easy to store package. Flashlights are often included in kits. They are powerful, use the same battery pack as the rest of your tools, and can come in handy for nearly every project and more. Drill/drivers are extremely versatile. For extended drilling, corded power drills can be more effective (more powerful), but for most homeowners, a cordless drill will suffice. 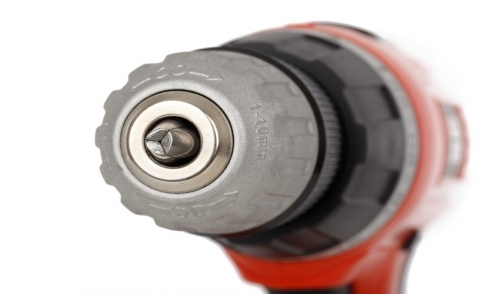 With the many attachments available, a drill/driver can be used to drill holes, drive screws, sharpen tools, remove paint, and more. Just take a glance at the selection of accessories available and you’ll get the idea. A circular saw is an important part of a basic power tool collection. While it may not be able to accomplish as much as a table saw, a quality circular saw, when used with a clamped-on straight edge, can be almost as accurate. There are blades available for a wide variety of materials to saw through, from rough-cut work to finish work, or even harder materials such as tile. A jigsaw is another versatile tool. It is to a band saw, what a circular saw is to a table saw. Not only are jigsaws handy for cutting curved and circular patterns into wood, you’ll also find that they are handy for cutting out holes in those hard-to-reach places. As with circular saws, a variety of blades are available to suit your needs. Handheld orbital sanders can make a big job seem easy. If you’ve ever tried to take on a big sanding project by hand, you know how quickly fatigue can set in. Also, because of the tight orbital pattern that the sanders use, it’s very difficult to damage something you’re working on. They are lightweight and only use small pieces of sandpaper at a time, helping to provide a lot of bang for the buck. Any homeowner that enjoys building things out of wood will certainly see the advantages in owning a nail gun. They can be used for many different woodworking projects such as installing molding, building furniture or repairing furniture. As your needs grow, you’ll learn that a compound miter saw can become an indispensable part of your collection. For anybody working on molding, these are a must for getting the job done quickly and accurately. While there are a huge amount of other power tools that can be added to your collection, the above should fit most homeowner’s needs. They can be used in most home improvement projects as well as small repairs and do not take up a lot of space in your garage or workshop. If you have any questions about power tools, and which could best suit your needs, feel free to stop in and ask. Also, if you are adding to your tool collection and need some innovative ways to properly store them, we can help you with that too.